The Nintendo Switch is an amazing console. It’s perfect for long flights where you want to whittle away the hours training a never-ending list of pocket monsters. It’s ideal for small parties, where you can get your friends riled up, either working as a team in Overcooked or duking it out in Super Smash Bros. Ultimate. It’s even great for those lazy days, where you want to spend most of your afternoon sitting on your couch, battling your way through hordes of nightmarish foes in Diablo III. Your selection for Switch colors is pretty slim. You can get a mixture of black and gray. 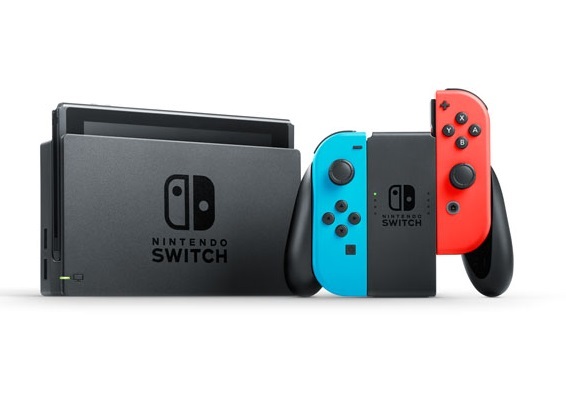 Or you can get the standard, red and blue Joy-Cons. The company gives you the option to buy additional Joy-Cons in fun shades like neon yellow, green and pink, but the selection is still small. If you’re hoping for a fresh look, you need to see these Nintendo Switch skins — they can easily customize every part of your device, including your Joy-Cons and your dock. Pick from bold designs like Green Camo, Black Carbon Fiber or glossy Sapphire Purple. You can mix and match patterns so that your Switch will be one-of-a-kind. As a benefit, the skins will protect your device from any cosmetic damage. There’s no need to worry about ugly scuff marks and scratches ruining the immaculate surface. It’s a suit of armor, without the weight. Your Switch starts out with 32 GB of storage — when you think about it, that’s not a lot. If you want to increase your gaming library, you should get a microSD card to give yourself plenty of extra GB to work with. That way, you don’t have to sacrifice any content to get a new game that you desperately want to play. If you’re not sure how to use it, you can follow The Verge’s instructional article on how to upgrade your Nintendo Switch’s storage with a microSD card. They also cover how to transfer games from an old card to a brand-new one. Sometimes a fully-charged battery isn’t enough. Maybe your bus trip gets unexpectedly extended because of bumper to bumper traffic, or maybe you’re camping during a stormy weekend — whatever the scenario, you will dread seeing your only entertainment device die when you need it most. That’s why one of the best Nintendo Switch accessories that you can get is a portable charger that will give you the extra bit of juice you need until you get to a reliable outlet. Avoid third-party charging solutions, which could mess with your device. The ideal choice is the Anker Powercore 20100 because it’s designed to be compatible with your Switch and it has the Nintendo seal of approval. The jam-packed charger can give you 15 more hours of gaming if your battery gets too low. Even if you feel like your gaming device is near perfect, there is always room for improvement. With the help of a vinyl skin, you can protect the integrity of the device and give it a custom design. With a new SD card, you can extend the storage capacity and pack your system with even more games. And, finally, with a portable charger, you can make sure that a low-battery won’t stop you from playing on-the-go.